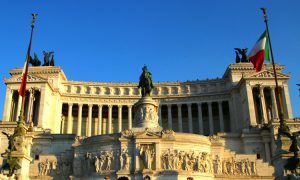 After a great deal of political toing-and-froing over what would appear in the bill, the Italian Senate finally approved the conversion into law of the controversial “Legislative Decree No. 119 on urgent financial matters” by 147 votes to 104. If it’s also approved by the Chamber of Deputies, the bill will reduce the tax on nicotine-containing products from €0.40 per ml to €0.08 per ml and on zero-nicotine products from €0.40 per ml to €0.04 per ml. It would also legalise online e-cig sales, and provide for a reduction to 5% of the previous tax debt owed by the vapour industry. The bill must complete its final stage and be adopted by 22nd December. Meanwhile, in the Netherlands, health secretary Paul Blokhuis’s long-awaited National Prevention Agreement included a proposal to require neutral packaging for e-cigarettes from 2022. Blokhuis also wants to extend smoking bans to cover vaping. The anti-smoking measures put forward are considered overall to be stronger than those on fighting obesity and alcohol abuse. The agreement, which has been sent to the House of Representatives for approval, was criticised by Philip Morris International (PMI) for “missing the opportunity” to recognise the role of alternatives such as heated-tobacco products in curbing adult smoking. The National Institute for Public Health and the Environment (RIVM) described the proposed anti-smoking measures as “feasible” but not stringent enough. These – along with details of legal changes, proposals and notices in 19 countries and at EU level – were among 73 stories published last month by ECigIntelligence to subscribers through our daily European Live Alerts. All the stories from November’s Europe regulatory Live Alerts can now be found here, on one page, ordered alphabetically by country. ECigIntelligence also publishes a daily US regulatory Live Alert.